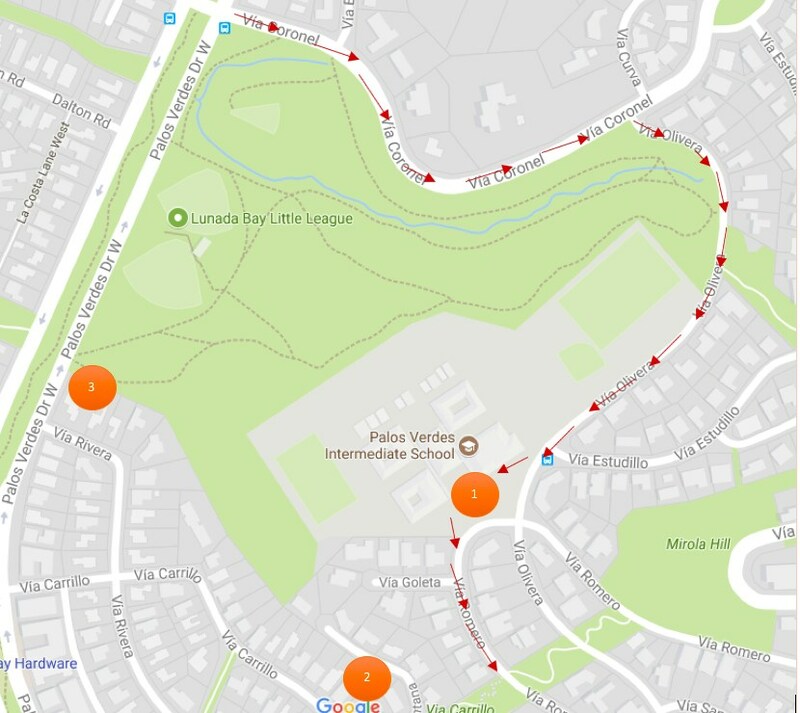 With the cooperation of the City of Palos Verdes Estates, we have established the following drop-off and pick-up locations to meet these goals. 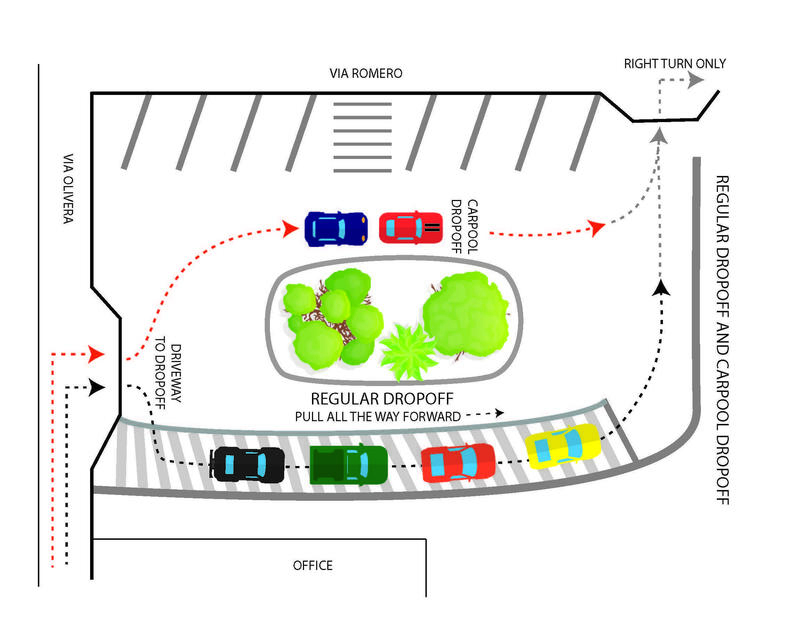 To drop-off or pick-up in the parking lot in front of the school, approach from Via Coronel onto Via Olivera, turning right into the front parking lot. Please note that no stopping is allowed along Via Olivera to drop-off as this impedes the flow of traffic. There is no left hand turn allowed when leaving the parking lot. Only registered car pools can go around the left side of the island. Students may be dropped off or picked up on Via Carrillo at the corner of Via Ventana to access steps leading up to Via Romero. Once on Via Romero, students walk to PVIS along the shoulder without the need to cross Via Romero or the exit driveway of the school. The City of Palos Verdes Estates has cleared the area behind PVIS for students to use. Students may be dropped off or picked up on Palos Verdes Drive West just before the little league fields. The path begins behind the snack shack and has been designed to help make the walk not too steep. To help reduce traffic congestion, we encourage students to walk, ride their bikes, car pool, or use PV Transit. The PV Transit stop is on Via Olivera near the stairway in front of the school. Please note the PV Transit Stop is for PV Transit use only and is not a drop-off or pick-up location. We must work together to make going to and coming from school safe for our students and community.